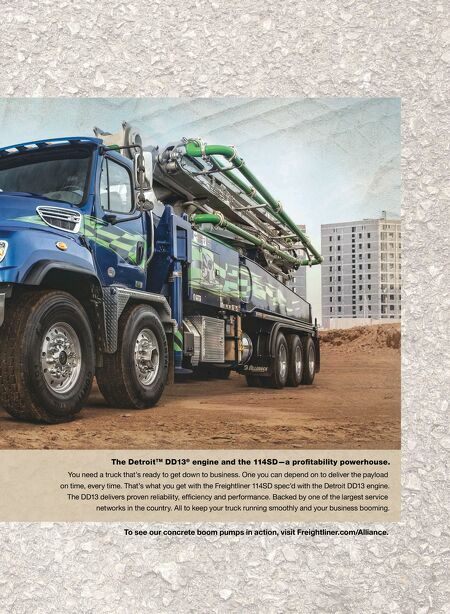 The Detroit TM DD13 ® engine and the 114SD—a profi tability powerhouse. You need a truck that's ready to get down to business. One you can depend on to deliver the payload on time, every time. That's what you get with the Freightliner 114SD spec'd with the Detroit DD13 engine. The DD13 delivers proven reliability, effi ciency and performance. Backed by one of the largest service networks in the country. 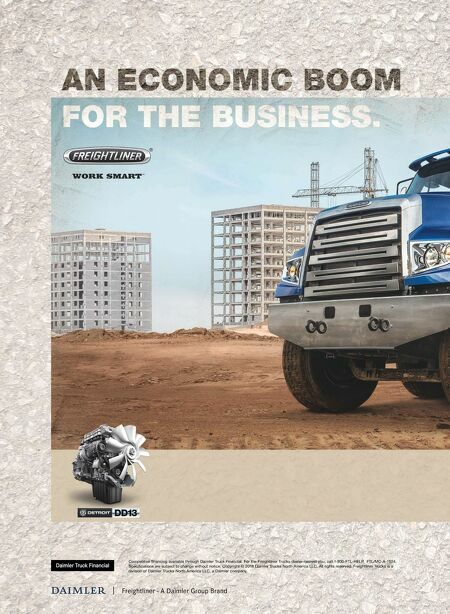 All to keep your truck running smoothly and your business booming. To see our concrete boom pumps in action, visit Freightliner.com/Alliance.